Council advice on plumbing risk categories, applications and approvals is free. Your local council is the best source of general plumbing advice. We recommend you contact your local council before making any project commitments. This will help you understand the process or requirements affecting your enquiry. Councils also provide various levels of information on their websites.  Visit the Local Government Association of Tasmania website to find your local council. final approval of plumbing installations. There are categories of plumbing work which need various levels of documentation based on the risk category of work. In Tasmania your local council provides the role of the plumbing permit authority. It has the responsibility to inspect or cause to inspect plumbing work. Most councils employ Plumbing Surveyors who perform these inspections on their behalf. The plumbing permit authority and plumbing surveyor work out when and how often plumbing inspections are done on each project. Talk to your council for more information relating to plumbing work inspections. Some plumbing installations and equipment need scheduled maintenance. These installations and equipment are generally Category 4 High Risk Work in the Director's Determination - Categories of Plumbing Work (pdf, 838.9 KB). A qualified and licensed plumbing contractor must perform maintenance associated with these installations and equipment. The property owner must enter into a contract with a suitable plumbing contractor when there needs to be scheduled maintenance. provide a copy of that contract to the local council as verification. include details of the condition and performance of the installation. The owner must keep maintenance records for 10 years. Talk to your local council before engaging a maintenance contractor. Your local council collects and maintains plumbing installation records. This extends to sanitary drainage records, stormwater records and plumbing maintenance schedules. Property owners or their agents can request to view or get from council copies of these records for their property. These records are valuable historical records which go with each property and transcend individual ownership.